The management of Abraham Adesanya Polytechnic has released the list of candidates admitted into the institution for the 2016/2017 academic session. 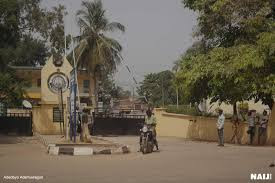 The admission list contains names of candidates who applied to Tai Solarin University of Education (TASUED) and Olabisi Onabanjo University(OOU) but have NOT been offered admission into TASUED and OOU. You can aslo check list of schools that have released their admission list..